Readers might be aware that Parliament is currently considering the 'Nga Mana Whenua o Tamkai Makaurau Collective Redress Bill'. The purpose of the Bill is to transfer the bulk of Auckland's volcanic cones to iwi and to set up a co-governance structure between iwi and Auckland Council. Full public access to the cones is retained. We are basically supportive of the settlement. Our cones, particularly in Puketapapa/Mt Roskill have been terribly neglected under sole Council stewardship and we are hopeful that working together with iwi there will be impetus to undertake much needed restoration. Guarantee Local Board representation on the Maunga Authority that will govern the cones. 1. I wish to appear before the committee to present my submission, assuming that the committee will conduct hearings in Tamaki Makaurau. 2. Roskill Community Voice is a community based organisation and political grouping based in the Mt Roskill area. We are supported by Labour, Greens, and community-based independents. We are currently represented on the Puketapapa Local Board by Julie Fairey and Michael Wood. 3. The Bill is of major interest to the Mt Roskill community. 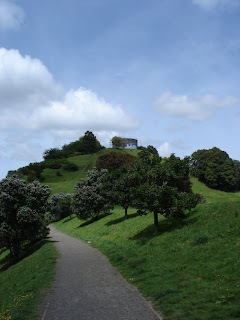 Two maunga from the Mt Roskill area are included in the Bill; Puketapapa/Pukewiwi (Mt Roskill), and Te Tatua-a-Riukiuta (Big King). Both are extremely important in terms of local community identity and recreation, but they have also both been terribly abused over the years. 4. We broadly support the Bill in its current form. It is appropriate that iwi’s cultural and historic connection to the maunga is recognised through co-governance. We also believe that co-governance could provide the impetus to undertake much need restoration work on our badly degraded maunga. 5. Both as a matter of good governance, and to ensure that there is widespread community support for co-governance we believe that there should be provisions in the Bill to ensure that community engagement and transparency are embedded in the operation of the Maunga Authority. This could be achieved through some fairly minor changes to the Bill. 7. We believe that the role of the Maunga Authority will be large and complex. It will be dealing with policy issues at a high level, and will find it difficult to engage directly around site-specific issues. We also believe that the credibility of the Manuga Authority will be enhanced by strong mechanisms that enable it to connect with local communities. At this stage however, the Bill provides no such direction or framework. (1) The Maunga Authority will ensure that local communities are consulted with prior to the development of plans or initiatives relating to specific maunga. (2) The Maunga Authority will establish a process to enable groups and individuals with an interest in the business of the Authority and maunga-related issues, to make direct representations to the Authority of their own volition. (3) The Maunga Authority will establish localised structures that enable it to engage with local communities about issues relating to specific maunga. These structures will be on the basis of Local Board boundaries and must include Local Board representation. 9. In conclusion, we are supportive of the main objectives and structures of the Bill. Its main area of deficiency relates to a lack of provisions that will ensure engagement with local communities. It is important to include such measures in order that the legitimate interests of local communities receive a hearing in relation to local maunga, and also to ensure wide-spread community acceptance of co-governance. Specifically, we propose that Local Board representation on the Maunga Authority be enshrined, and that it be a statutory requirement that the Maunga Authority engage with local communities. Specific and simple measures are proposed to achieve this. 10. We thank the committee for the opportunity to submit and for considering the issues we have raised.